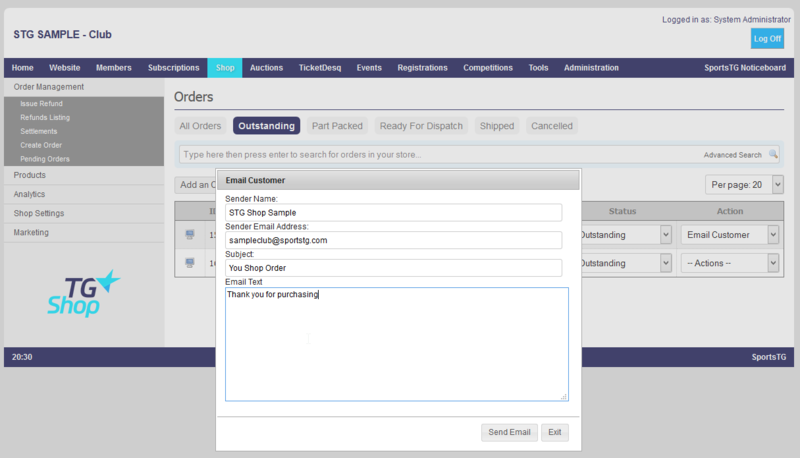 Within the Order Management menu, you have the ability to email each customer individually in regards to their order. This allows you an easy way to communicate with a customer, as well as set the 'reply to' sender email address for further communication. 2. Find the Order for the customer that you wish to email. 3. Select the dropdown next to the order labelled Actions. 4. Select Email Customer from the dropdown. 6. Once completed, click Send Email. Note: When sending an email, make sure that the Sender Email Address is set to the email that you wish to receive a response to. If you're sending an email that requires no response we suggest creating a separate email address, such as 'orders@' to keep these out of your inbox.